Six hours north of Colombo, off one of the many excellent A grade highways in Sri Lanka, brings you to the boundless beaches of Trincomalee. En route we spot kithul or palm treacle sold on the roadside in earthen pots and we didn’t have to wait too long to sample it. Kithul is the magic ingredient that turns thick curd into a smoky dessert and also tastes great when drizzled on hoppers like you would maple syrup on pancakes. Trinco Blu by Cinnamon is most famous for its restaurant named Crab, with an entire menu dedicated to seafood. But we find that the hotel has much more to offer to vegetarians including desserts such as the watalappan, a baked pudding made of coconut milk and date palm jaggery or kithul. 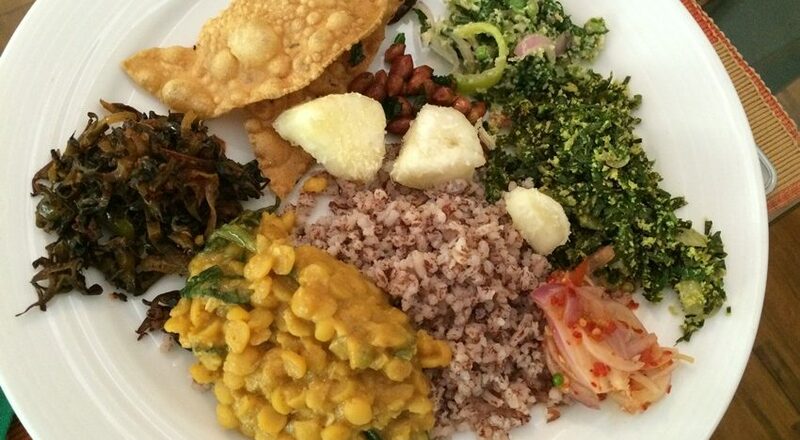 A Sri Lankan vegetarian meal most often includes a creamy curry or two made with fresh coconut milk. Like the verdant landscape lined with coconut and banana trees, the food too is reminiscent of Kerala cuisine. 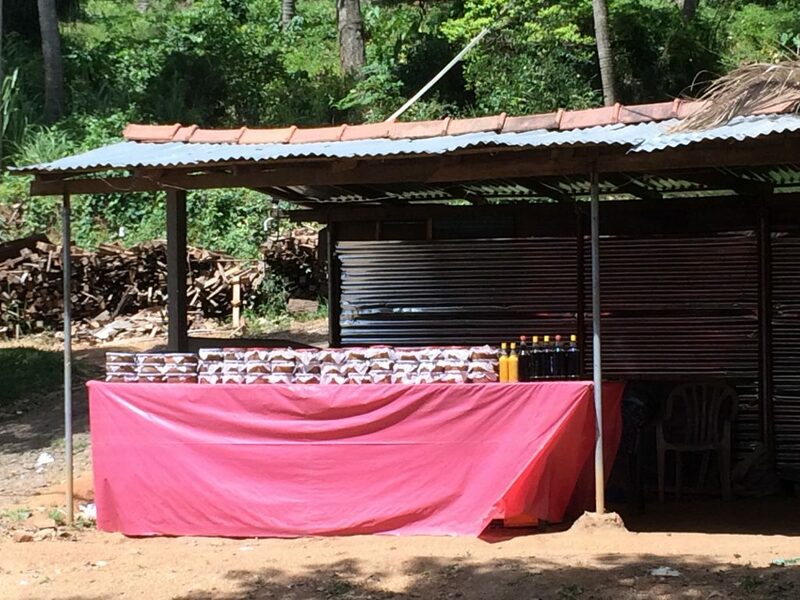 But there are marked differences, mostly owing to ingredients such as the Sri Lankan bird’s eye chillies, the local tamarind known as goraka and the curry powder with its distinct cinnamon-ey flavour. 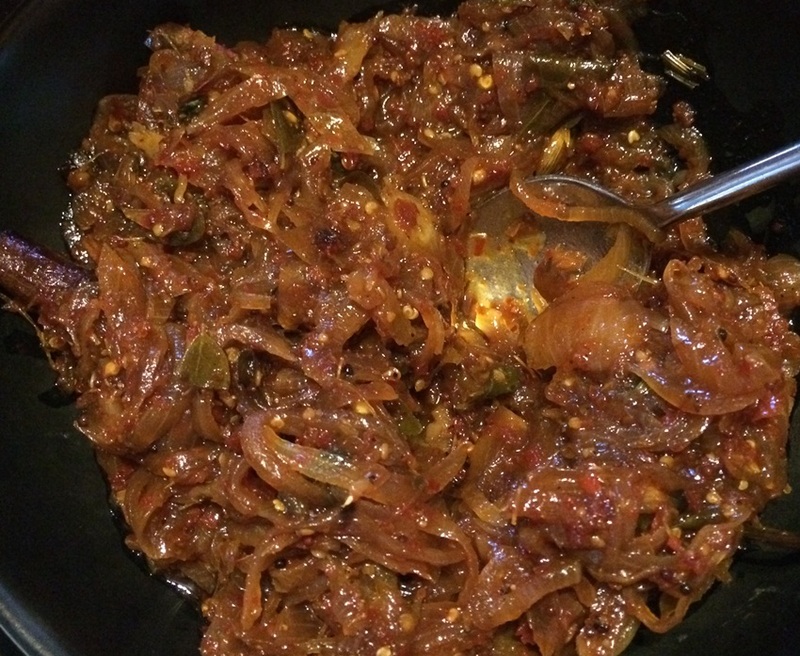 Wild leafy vegetables tossed in a no-fuss, wholesome dish called mallum, and chutneys, locally known as sambols – some tangy, some spicy, some sweet and sour – were some of our favourites. Cottage cheese hasn’t yet made an appearance in Sri Lankan cuisine, which also makes most of their food vegan-friendly. The local desserts too bring back memories of sweets made in India. The kokis for instance are identical to the Goan Rose de coque or rose cookies, as they are more commonly known. 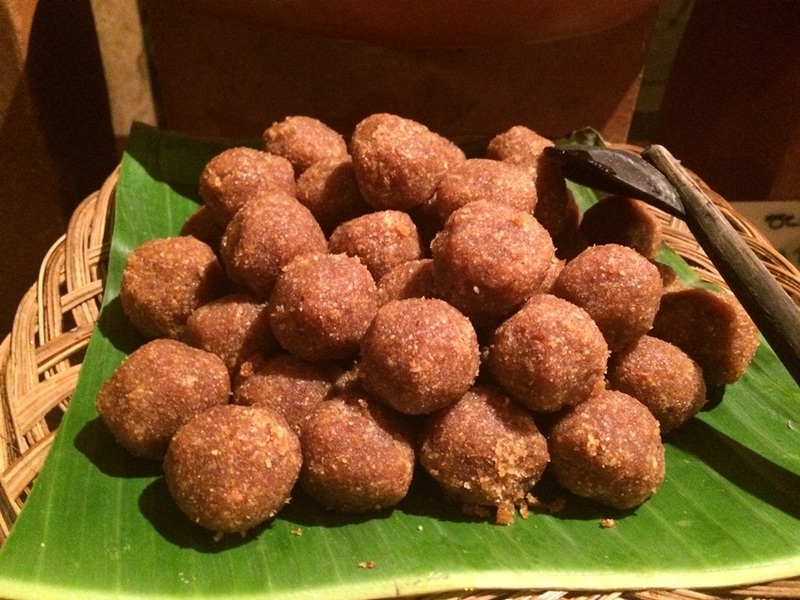 The Sri Lankan seeni pittu is so similar to nariyal ke laddoos that we get in various parts of the country especially Maharastra. While string hoppers and hoppers are popular, here are our top picks of lesser known vegetarian dishes of Sri Lanka. 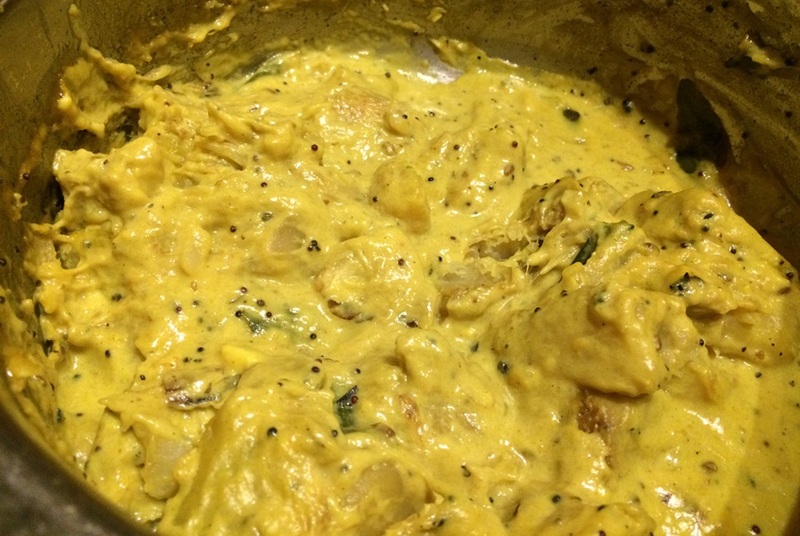 Del or breadfruit, which is the little cousin of the jackfruit both in terms of size and popularity, makes for a luscious, silken curry that is popular in central Sri Lanka. The breadfruit’s flavour is nowhere as overwhelming as the jackfruit, and tastes best with rice. 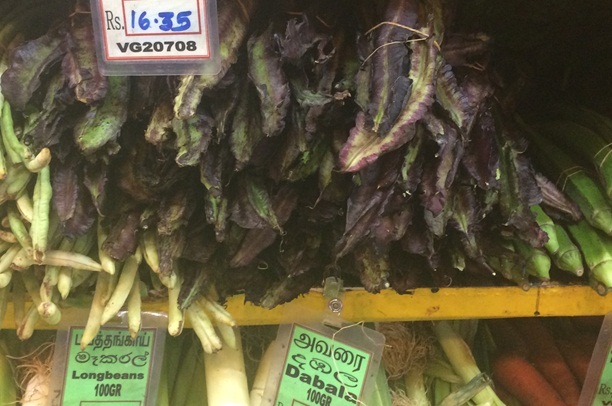 Long before Michelin star restaurants woke up to hyperlocal and hyperseasonal food, fresh produce was being used in Sri Lankan homes and hotels. These broad winged beans can also be found at local supermarkets and are used in a dish that has a tangy aftertaste similar to amaranthus, but also packs a crunch that is unique to the vegetable. It’s a great accompaniment for rice and you’ll find it hard not to go back for seconds (or thirds). Katurumurunga, the leaf of the Hummingbird tree, is yet another superfood like the drumstick but untapped and waiting to be discovered. 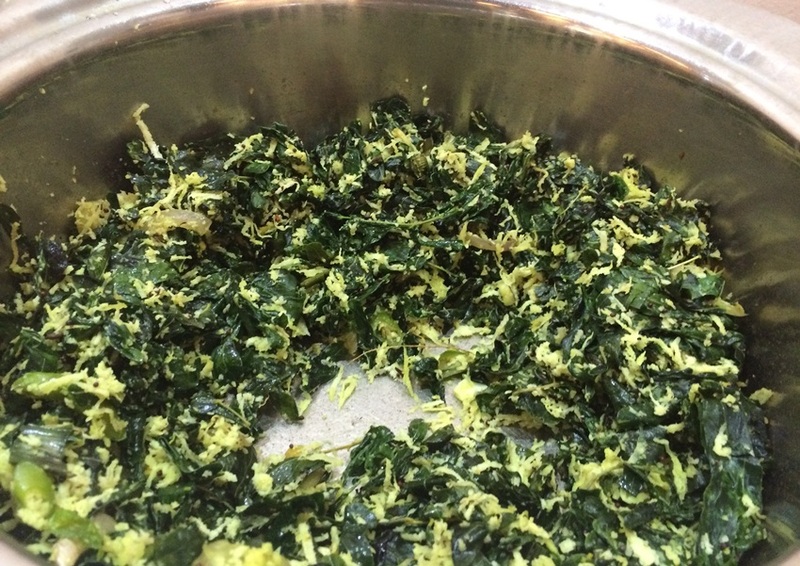 “You don’t cook these leaves too much because you don’t want to lose their nutrients,” says chef Mendes of Trinco Blu by Cinnamon, “So it’s not even stir fried, but tossed in after you add the ingredients for tempering such as curry leaves, mustard and coconut, and cooked on a low heat.” This mallum, served for lunch or dinner, is a rich source of vitamin E and also has antibiotic properties, and it’s so light that it’s off your plate before you know it. 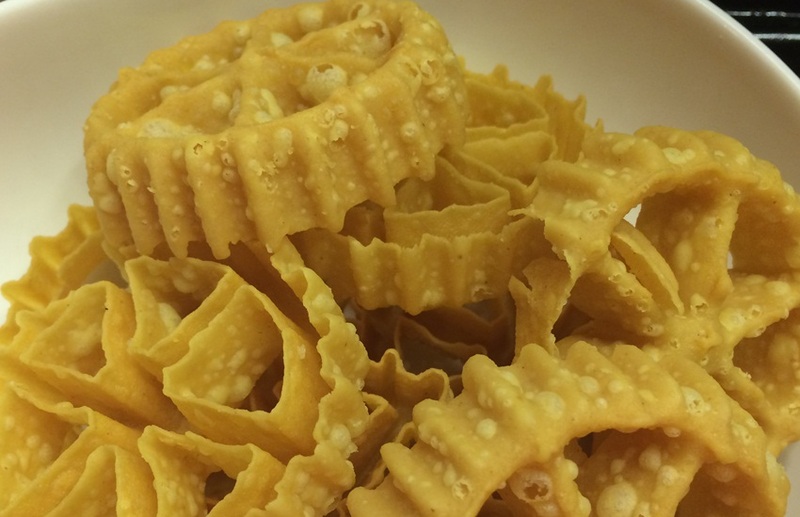 An intricate dessert made of string hoppers, the Lavariya is usually eaten at breakfast. 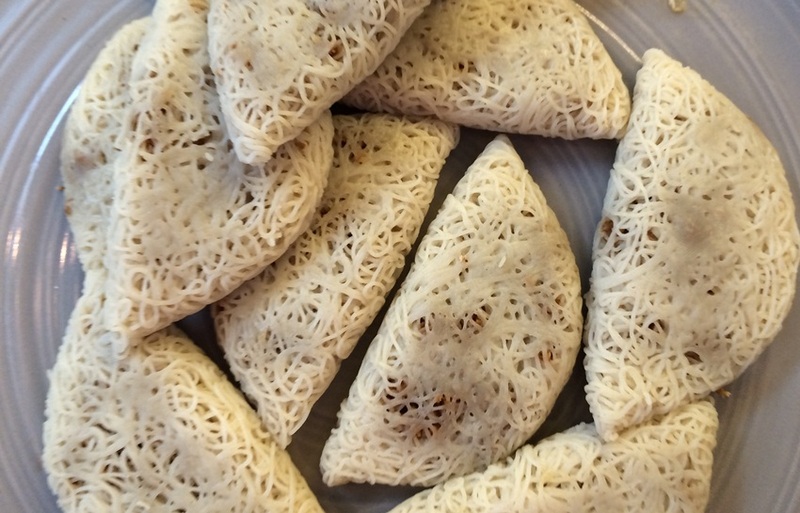 String hoppers filled with kithul are folded into soft semi circles that are best eaten hot off the griddle. This is possibly the tastiest Sri Lankan curry we’ve had and also the easiest in terms of preparation. 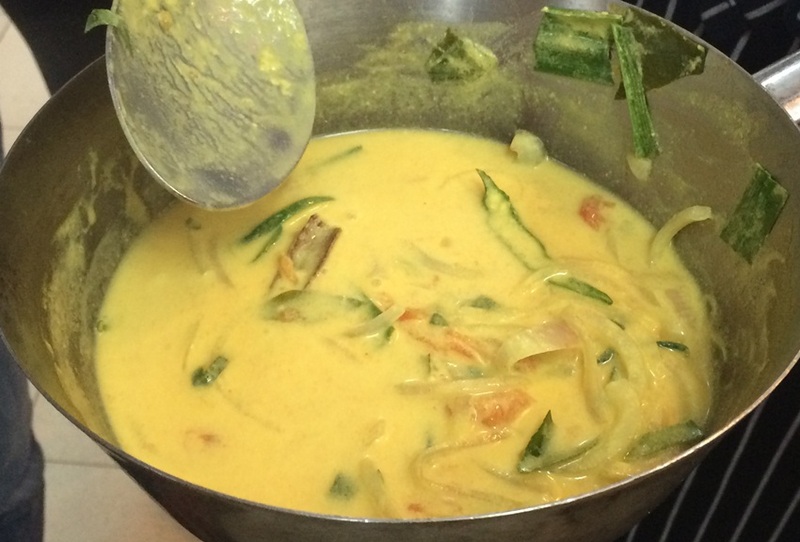 The Kiri Hodi looks like a Thai yellow curry, except it isn’t as thick and uses no paste or vegetables except for onion, tomatoes and bird eye chillies. The coconut milk curry tastes best with string hoppers. The five-year-old Nuga Gama restaurant at Cinnamon Grand is known for its traditional Sri Lankan food, and fully booked on all nights. The seeni pittu made from fine white rice flour, jaggery and coconut, while not as dense as the coconut laddoos that we get back home are definitely closer to taste to nariyal laddoos. 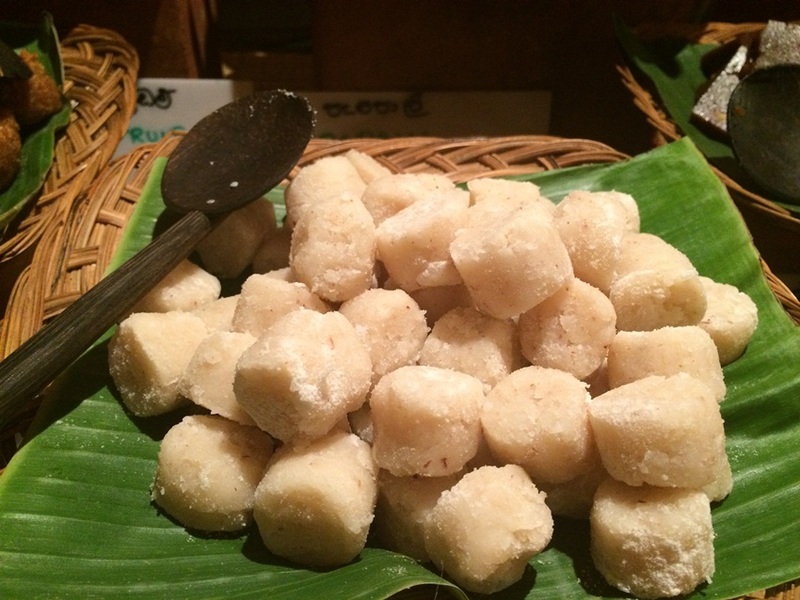 Famous in the upcountry or the hilly tea estate areas of Sri Lanka, the agala is another traditional sweet found on Nuga Gama’s buffet. “Leftover rice is used to make this sweet,” says sous chef KHSP Ariyaratne, “It is dried, roasted and mixed with grated coconut, jaggery and cardamom.” Agala has a lot more crunch than the seeni pittu and is also less sweet, which makes it perfect for a tea-time snack. 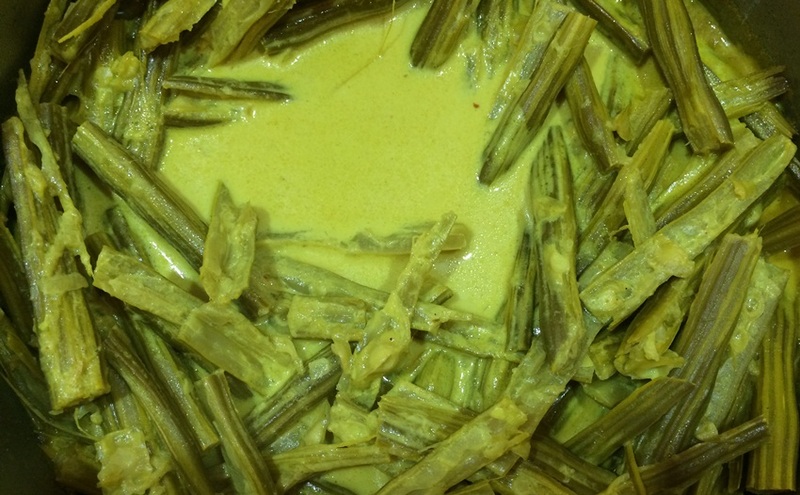 A light curry starring drumstick and coconut milk, the murunga maluwa, is a great accompaniment for rice. Unlike, say in a South Indian sambar, the drumstick is crunchier and let’s say this is the vegetarian equivalent of the crab that ensures you get your hands dirty to get to the flesh.